Q. What other fees are associated with the lease, but not included in your advertised payments? A. There is a dealer conveyance fee of $599. None, all fees are already included in our NO MONEY DOWN LEASES. So, the advertised payment you see is what you’ll really pay. Imagine that! A. No, you will not need to make a down payment with one of our REAL NO MONEY DOWN LEASES. It’s precisely why we call them “No Money Down.” We do, however, offer another lease payment for those who would like to make a down payment to lower the already low lease payment. A. Our REAL ZERO DOWN LEASES are for multiple vehicles in our inventory not just one; it’s why we do not reference an exact car in our inventory. So, you’ll have an opportunity to pick which one out of many you like best. And if we don’t happen to have the one you want we’ll go find it for you. Q. What is ToyotaCare and am I eligible for it if I lease? A. ToyotaCare is a 2 year/25,000 mile complimentary maintenance plan plus 24-hour roadside assistance on all new Toyota vehicles. Toyota is the first full-line manufacturer to offer such a program. And yes, leased vehicles are eligible for ToyotaCare and is offered as part of our REAL ZERO DOWN LEASES. Please note ToyotaCare does have some restrictions. Click here for more information on ToyotaCare. Q. I drive quite a bit and am afraid I might exceed the miles of a lease. What do you suggest? A. The large majority of our customers find the 36,000 miles to be more than sufficient based on their driving habits. Should you need more please let us know and we’ll happily tailor a lease to your driving mileage. Q. Your advertised leases are for a 36 month term. What if I want a shorter or longer term lease? A. You may lease your new Toyota for 24 months, 48 months, or 60 months. Please note the payment and many, if not all, of the lease variables used to calculate the lease will change as a result of a different lease term. If you would like lease figures for one of our REAL ZERO DOWN LEASE models, or any Toyota model for that matter, based on a different term length please contact one of our sales associates. Q. What sort of credit score is required to lease from Toyota Of Wallingford? A. Our NO MONEY DOWN LEASES are calculated based on a Tier 1+ credit rating. If you aren’t sure whether you qualify for such a rating you’re welcome to complete our credit application and we’ll let you know. If you believe you have a credit score different than Tier 1+, don’t worry. Please let us know and we’ll be we’ll be happy to work with you on calculating a lease based on your credit situation. 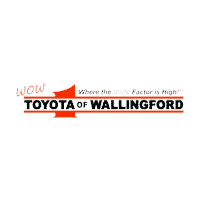 Thanks to an experienced Financial Services Team, Toyota Of Wallingford is able to offer attractive lease (and purchase) options for a wide range of credit scores.